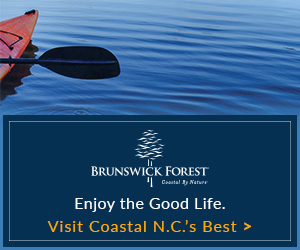 You’ll see a great diversity of landscapes driving through Brunswick County’s 855 square miles — sandy beaches, rolling farms, velvety golf courses, mucky swamps, lush gardens and bustling commercial areas. If you want a closer look at Brunswick County’s rural heritage, consider a visit to a local agrotourism farm — a farm-related business that also provides education and entertainment. 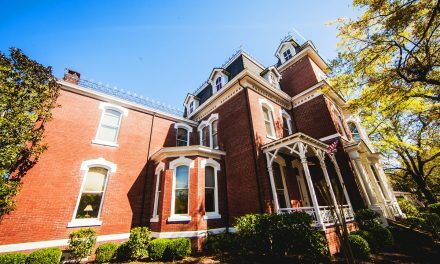 Read on to learn about some of the agrotourism treasures you might not know exist right here in Brunswick County. 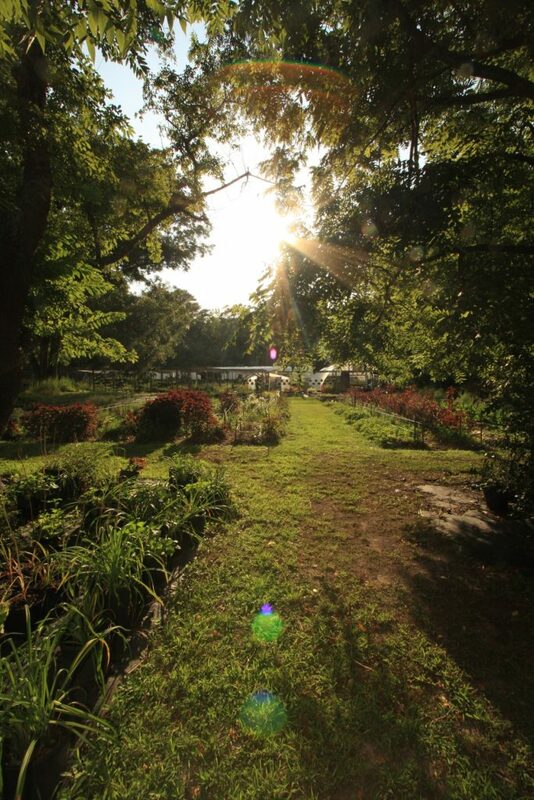 If you love all things growing, you’ve got to visit Shelton Herb Farm. Tucked down a quiet country road, the property backs up to the Green Swamp. The farm has been in owner Margaret Shelton’s family since the mid-eighteenth century. An old wooden farmhouse stands amid centuries-old magnolias, sycamores, pecans and a host of other trees, including a sturdy little bitter lemon tree. This farm has the rarefied, serene air of a nursery, only it’s intensified because it is isolated, ancient land. The air almost thrums with things growing. Shelton grows every herb you can think of, and many more, too, like exotic orangemint, African blue basil and culantro, a Central American version of cilantro. The farm sells cut flowers (sunflowers, zinnias, bee balm and others), edible flowers (pansies, violets and chrysanthemums are a few) and medicinal herbs such as comfrey and Echinacea. 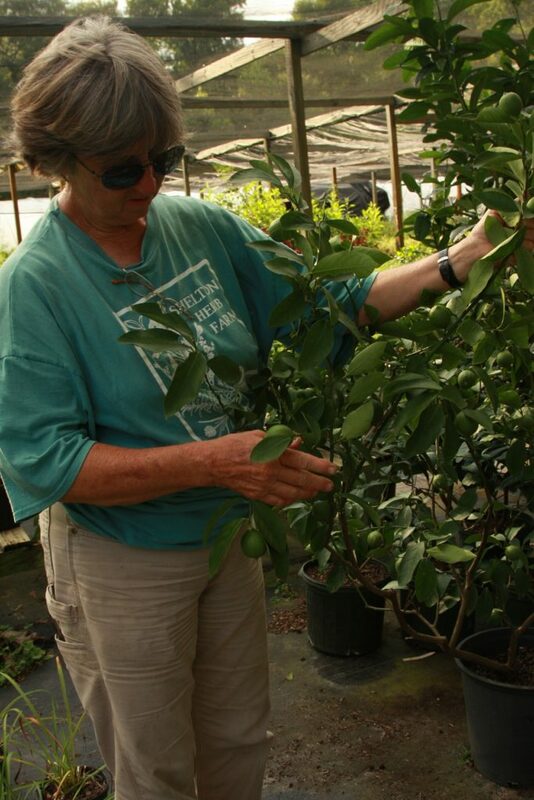 The greenhouses are filled with exotic plants and unexpected delights — one houses citrus, including flying dragon lemons, navel oranges, key limes, tangerines and grapefruit. Shelton also grows “microgreens,” which are just as they sound: tiny, delicate salad greens and herbs —Red Russian kale, chard, beet and mustard greens, Chinese cabbage. The tiny sprouts are grown in the sun and cut at soil level. Chefs add these intensely flavored greens to elegant salads. Popular farm products are Shelton’s “flower boxes,” which she sells to restaurants and caterers. These lovely little boxes of pineapple sage, begonia, marigold, roses and celosia, all nestled together, are destined to grace a plate or table. Salad bowls — containers growing lettuces and specialty greens — are available September through June. Just tear off a bowl of salad, and it grows right back. Shelton’s produce is available at the Riverfront Farmers Market in Wilmington, Poplar Grove Farmers Market, Southport Waterfront Market and the Shallotte Farmers Market. “Agriculture is a medium kids can make sense of the world through, it gives them a sense of wonder and awe,” says Sam Bellamy, whose family has owned Indigo Farms for six generations. 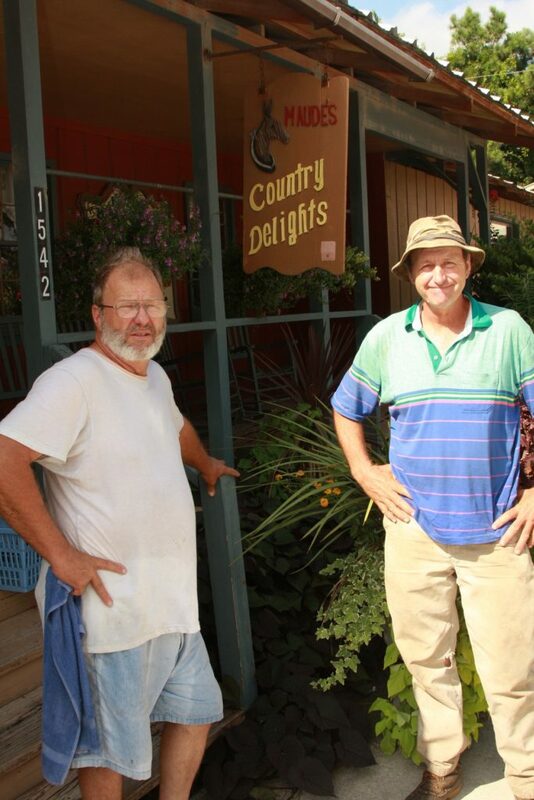 He is passionate about sharing his experiences, and his farm is, in a word, delightful. 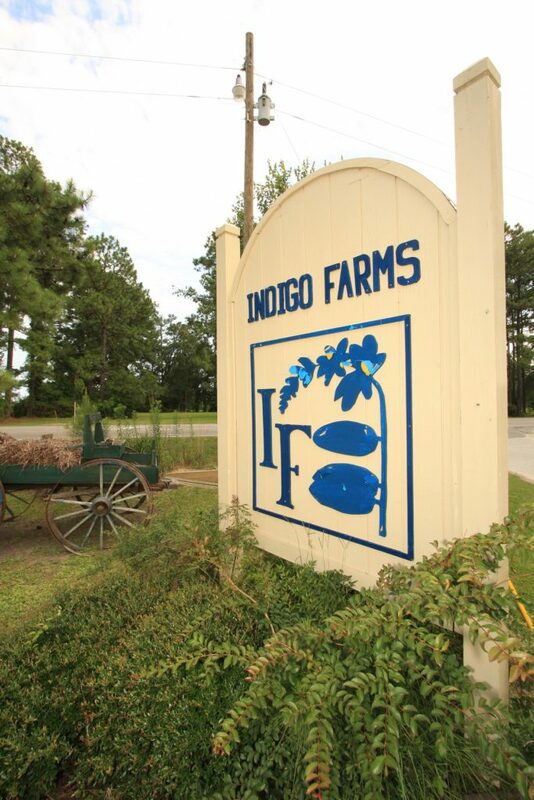 The working farm, named for the Indigo Run which flows to the Waccamaw River, is home to many animals you’d expect on a farm, and some that you wouldn’t. Happily milling about are briar goats, guinea fowl, heritage turkeys, cows, bunnies, peacocks, Hershey the henny (a cross between a stallion and a jenny), sheep, chickens and an elegant emu with perfect posture, who peeps out at you from her grove of trees. Also in residence are two horses, the magnificent “Belle,” a Belgian, and her companion “Misty,” a Haflinger. There are also racing pigs (that’s right – Bellamy hosts “NASPIG” racing), including a 775-pound former racer, and a feral pig who’s come to love the good life. Bellamy tills the land, growing berries, peaches, plums, grapes, persimmons, melons, tomatoes, onions, potatoes and sweet corn. He also grows chestnuts, pecans and wheat and oats, which he feeds his animals. He even grows sugar cane to mill sugar. Much of his produce fills the shelves of his market, which are bursting with fresh fruits and vegetables and canned goods such as mango butter, pineapple sweet fire relish and Vidalia onion jelly. Down the hall from the produce market you’ll find the bakery — Maude’s Country Delight’s — where you can pick up a pimiento cheese sandwich and a strawberry-rhubarb pie. And right outside the door is the garden center and greenhouse, and behind that a shed housing antique farm machinery. Bellamy hosts events such as Farm Heritage Day, Pumpkin Day and Nighttime Hay Rides. Visitors are welcome, including school groups, tour buses, seniors and families. In March 2008, Phil Lampert announced on the Today Show that with regard to winemaking, “Napa is out, North Carolina is in.” You’ll believe it when you walk into Maryann and Dr. “Bud” Azzato’s Silver Coast Winery. The 212 medals their wines have won in national and international competitions attest to the distinction of this winemaking facility. 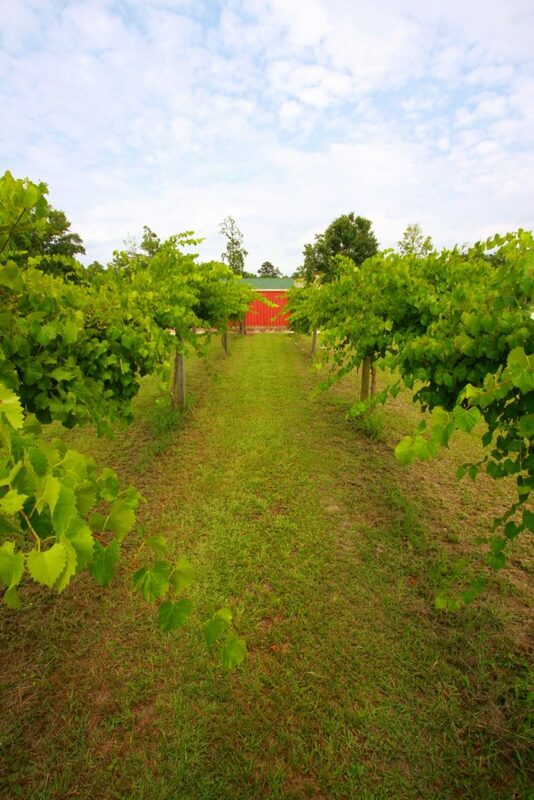 The 135 tons of grapes purchased by the winery in 2008 were mainly from RayLen Vineyards in the Yadkin Valley and the BlackStock vineyard in the North Georgia mountains. “These grapes were grown specifically for winemaking, with the proper soil conditions and so forth,” Maryann says. The winery bottles about 7,000 cases – 84,000 bottles – of wine per year. Sommelier-in-training Amanda Sutton can help you with your selection, provide in-depth information about the grapes and their properties, and guide you through a delightful wine tasting. “Dana doesn’t use recipes; he uses his palate, like Old World winemaking. 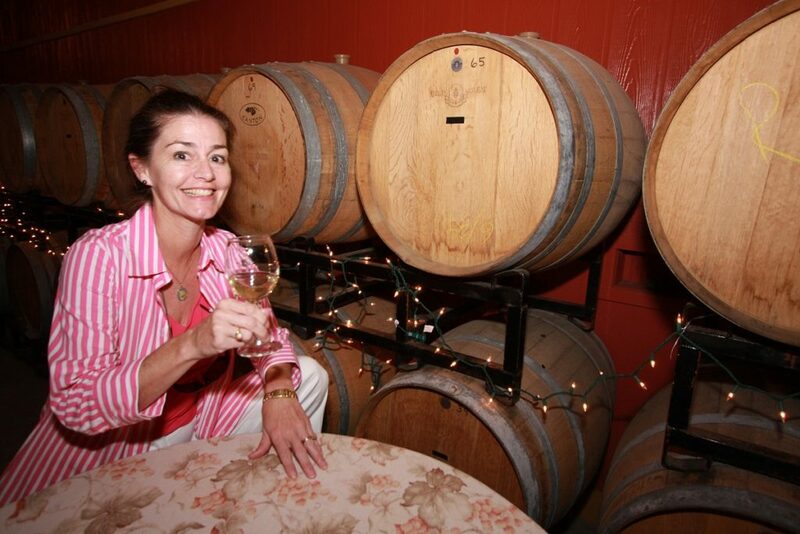 Our wines use about one-third the amount of sulfites in traditional wines,” she says. In addition to a fine selection of award-winning wines, the winery offers tours, a wine club, special festivals and events. The Barrel Room — where red wines are aged in oak barrels — is available for weddings and events. There’s also a unique gift shop and local art gallery. 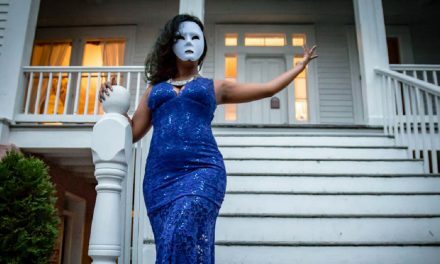 The gracious and elegant Maryann will be happy to show you around the extensive grounds. Shop online or learn more about upcoming events at www.SilverCoastWinery.com. So next time it’s a gorgeous day and you can’t think of a thing to do, or the kids are rowdy and you need to get them out of the house, or you just want to reconnect with the land, animals, and the cycle of the seasons, visit an agrotourism farm. You’ll come home with a fuller appreciation of nature and its ability to lift your soul.